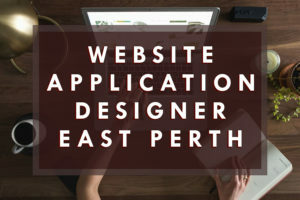 The passion of our Web Application Designer East Perth for web technologies indicates that they are knowledgeable and familiar with the latest trends and innovations. This motivate us to create a project with efficacy and consistency. Moreover, it allows us to deliver a smooth and successful multi- platform solution to match your specifications and necessary conditions. Web application is a type of software that runs like a website- only much stronger and powerful. It can also interact with the other hardware and provide a dynamic content viewing and editing. Also, it includes Content Management System (CMS), Online Retail Software, Quotation Systems, and Office Management Systems. Web application is created along with our tried and tested structure. It allows us to come up with a productive process for common solutions. It also permits us to develop and add custom components due to the modular design. Whether you have a simple or large and complex system order, our framework will handle it with ease. It also allows for additional expansion as your business develops and grow. Our web application designer East Perth designs applications that are essentially progressive. You don’t have to worry for the need of large redevelopment in the future. Our web application designer creates applications that are fast, easy to grasp, user friendly, and functional on multiple devices and OS. This implies that you can save on the expense of upgrading your hardware. If necessary, we can also assist you in purchasing hardware that suit your needs. We have been developing applications both web and mobile for more than a decade and have worked with hundreds of SMEs across Perth and Sydney. On the other hand, if you’re experiencing some issues with your website, read more: website support technician East Perth. This entry was posted in Aleph IT Services and tagged web application, web application developer, web application services, Web Applications Design Services.